On February 6, 2015 at 9:09 a.m., the Galloway Township Police Department responded to the 200 block of East Crestview Avenue for a reported structure fire. 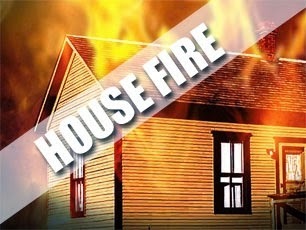 Upon patrol arrival, the single family residence was fully engulfed and no one was home. Galloway Twp. fire personnel from Bayview, Pomona, Oceanville and South Egg Harbor responded as well as Absecon Fire personnel. Galloway Twp. EMS was on scene in case of injury. No injuries were reported. Atlantic County Office of Emergency Management responded. The cause of the fire is still under investigation at this time.